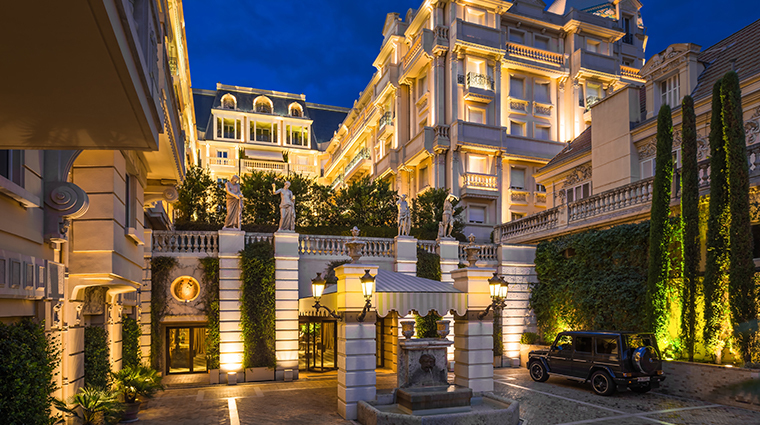 You’d probably drive right past the entrance to Hotel Metropole, Monte-Carlo, if not for the nattily dressed valet standing in front of an unassuming gate. But when you ask him for directions to the hotel, he opens the doors and welcomes you in. The long cobblestone driveway lined with towering Italian cypress leading to a Belle Époque mansion appears out of nowhere. 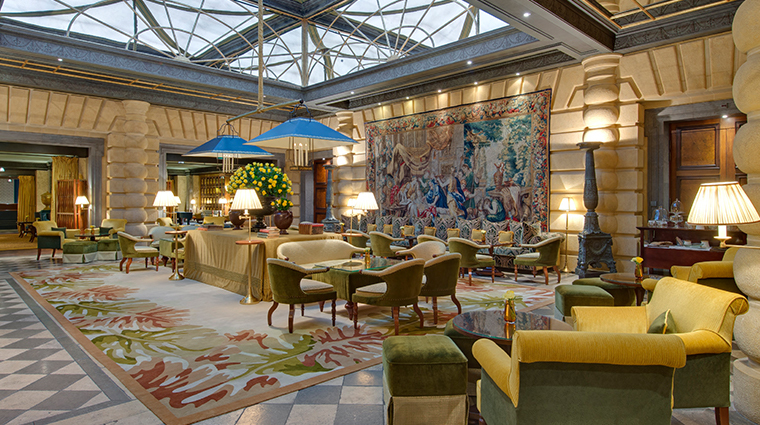 It sums up the hotel as a whole — Hotel Metropole is thoroughly luxurious without being ostentatious. This isn’t a see-and-be-seen type of place because the hotel is exclusive. Built on land once owned by Pope Leon XIII, the hotel debuted in 1886. Under the glass dome lobby atrium, thick velvets mingle with silky brocades. But touches like a wall of gold silhouettes keep the look fresh and chic. The Monaco hotel also feels relevant with a quartet of restaurants from late masterchef Joël Robuchon, a pool that looks camera-ready for a photo shoot and a sleek and stylish Givenchy spa. 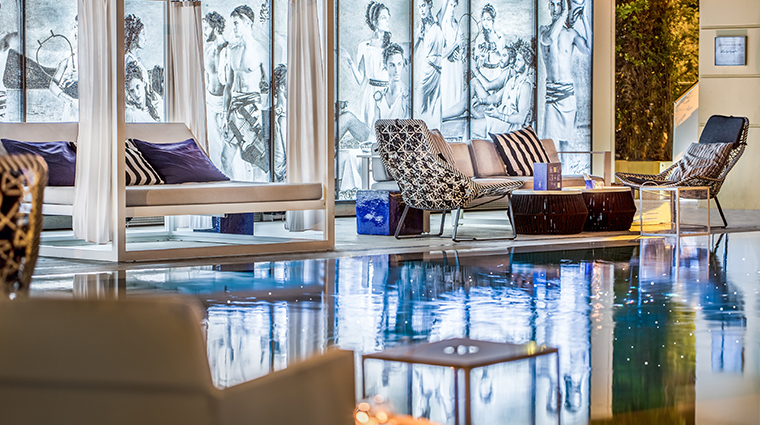 Fashion designer Karl Lagerfeld created Odyssey, the stylish outdoor pool-restaurant-bar. Shielded by gardens, the heated seawater pool is backed by oversized glass screens with black-and-white images portraying the Greek myth and a sprinkle of tables. The hotel is a culinary destination — it offers a whopping four Joël Robuchon eateries, including Yoshi, his first Japanese restaurant. 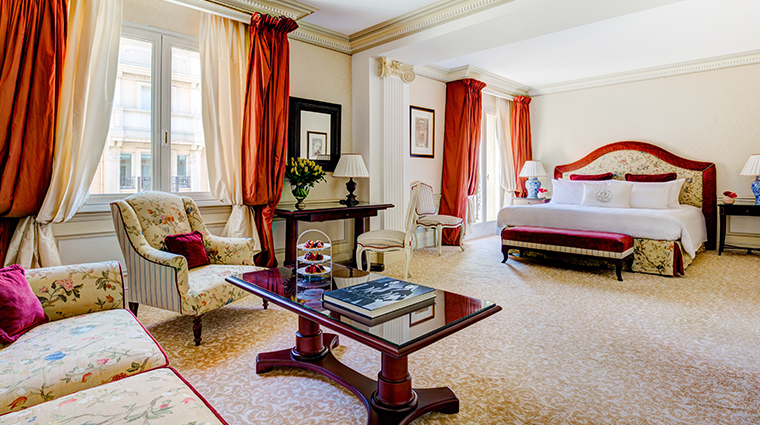 Just steps from the famed Casino de Monte-Carlo, the hotel makes for a centrally located base for your trip. For an out-of-the-ordinary experience, try the hotel’s Just for You program. Its specially curated outings including everything from Grand Prix training to flying a helicopter over Mont Blanc. Hotel Metropole Monte-Carlo opened the third Givenchy spa in the world in April 2017. 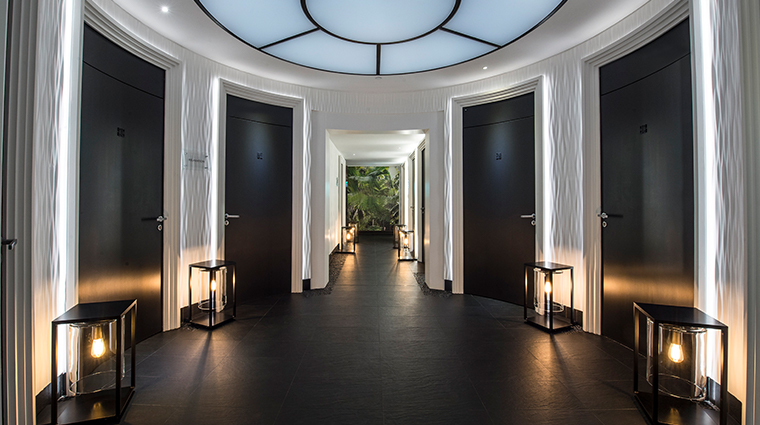 Elegantly designed by architect Didier Gomez and boasting a curated selection of exclusive Givenchy facials and body treatments, the spa is an indulgent experience true to its Monaco locale. Flash the lifestyle card in the adjacent Metropole Shopping Center to enjoy perks with some of the mall’s high-end boutiques. Crowds swell in Monte Carlo in the spring and summer, especially for May’s Formula 1 Grand Prix. The race is the year’s hottest event, so if you want to visit during that time, book a room well in advance. Bonus: You can get a view of the track from two of the hotel restaurant terraces. The mix of Mediterranean patterns lends the rooms a warmer feel. The sofas and beds are so comfortable, once you sink into them, you’ll have a hard time getting up. The traditional-looking bathrooms come with Carrara marble, black-and-white checkerboard floors, spacious bathtubs, showers with massage jets and Hermès eau d'Orange Verte toiletries. 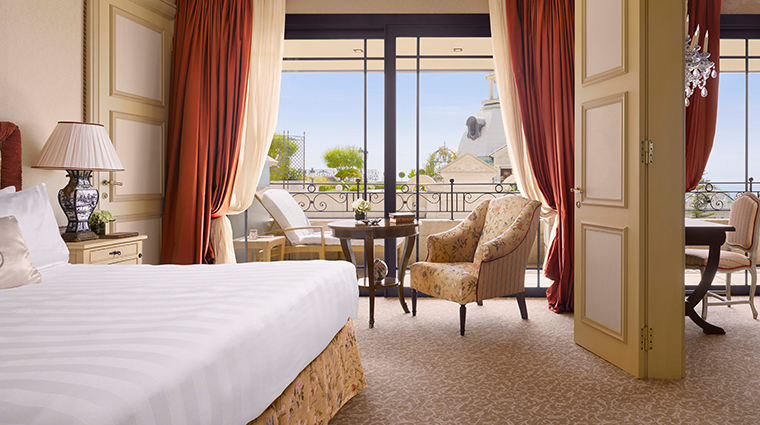 The most luxurious room is the Suite Carré d’Or, whose rooftop terrace overlooks the water.